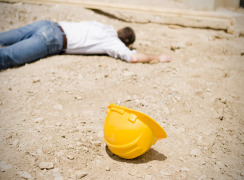 You might think you have a guardian angel, but if you are in a poor reception area, with no phone/data signal and have cause to press of the alarm button, NOTHING IS GOING TO HAPPEN! What¹s worse, you are left oblivious to this fact as the devices/apps simply don¹t tell you. It¹s like playing Russian Roulette with your life. BS8484 places no requirement on manufacturers or software developers to build these safety mechanisms into their products, so they don¹t. Here at Webeye we put you and your clients, not the standards or the profit first. We have gone the extra mile. 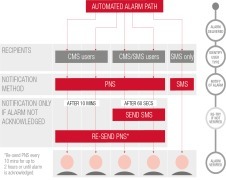 The app regularly checks for satellites, a phone data service and that it can connect to our award winning alarm platform and if for any reason it cannot, then the user is told in real time and not when it¹s too late. This critical feature is not required by BS8484 and means we are possibly the first supplier of such a solution to not only comply with the standard but surpass it. In addition to this we have, Mandown, Check in and Duress features all of which add to the protection. We also send the alarm to colleagues and track that they received and viewed it. There are many other critical features that provide the user with reassurances that we do everything in our power to protect them and make them feel as safe as we can. webeye cms - Voted the worlds’ best cloud security software. 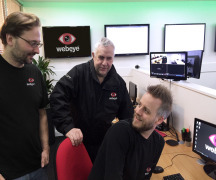 Companies such as Securitas (USA) are now integrating the multi-award winning webeyecms platform as a virtual monitoring solution to help address spiralling site security costs and combat the challenges of increasing scale. Introducing the new OMV OUTDOOR MOTION VIEWER. The new colourvideo function works with all Videofied panels. 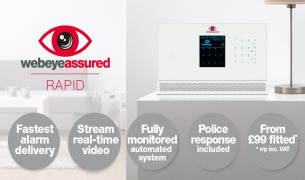 The enhanced features and improved range works with the new RSI Videofied W panel or through the keypad of any RSI Videofied panel excluding Input/Output*. superfast, reliable and secure. 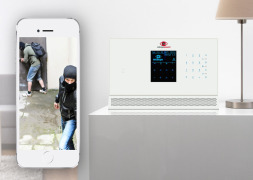 In home security speed and reliability is of the essence to catch the criminal! In home security speed and reliability is of the essence to catch the criminal! 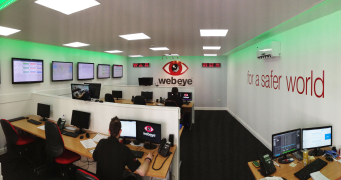 In response we have developed the world beating webeyeassured RAPID intrusion alarm system working into the famous webeyecms automated alarm platform, combined they offer the world’s fastest alarm delivery. Fast and robust system with battery powered ancilleries which fit almost anywhere and are easy to install. 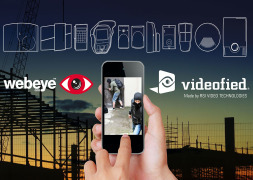 webeyeassured offers home owners and small businesses a reliable method to remotely control their security system using their smart phone, tablet or computer.